Why 12-year olds should lift weights! In this week’s blog post I want to discuss a topic which has come up again recently, and it’s a topic that will not go away. It concerns resistance training and youths. 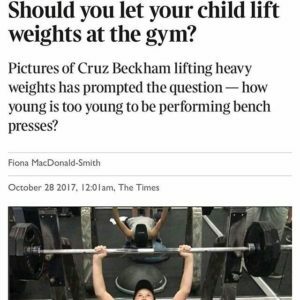 Pictures of Cruz Beckham on Instagram lifting heavy weights prompted the question — how young is too young to be performing bench presses? 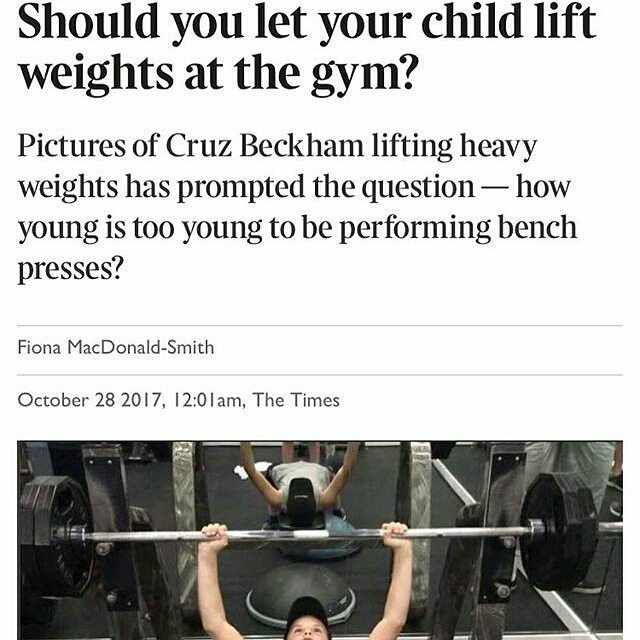 Unfortunately (in my opinion) the article published in the Times which commented on this question allegedly summarised that resistance training before puberty should focus on bodyweight training (author note- I haven’t read the article myself as I don’t subscribe to the Times online) . This was quickly followed by an article in Athletics Weekly which basically said the same thing. 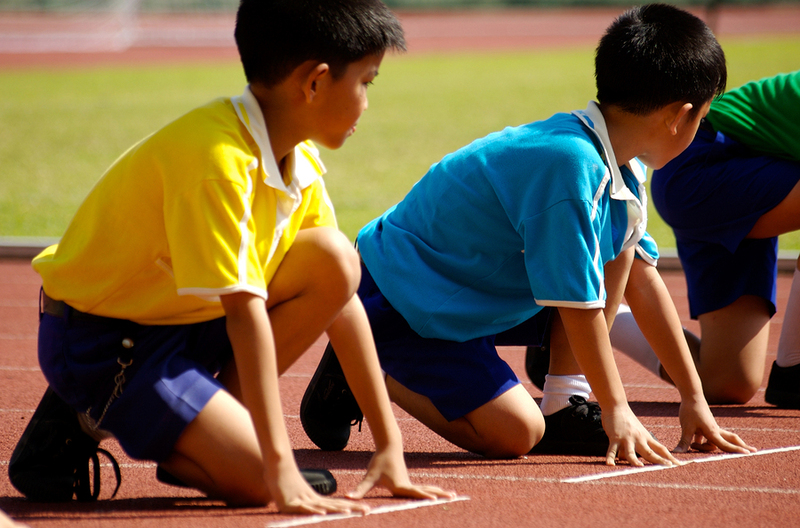 So is bodyweight training before puberty the only solution? I will leave it to two juggernauts in the pediatric research field to answer this question. Coincidently their article came out at the same time which was called ”How Young is too Young to Start Lifting Weights?” It was authored by Gregory Myer and Avery Faigenbaum. I won’t steel their thunder and quote the whole article, rather do yourself a favour and read it in full HERE. But I will highlight one of the interesting sections that stood out for me. I refer to a few more sections of the article in my latest episode of Daz Dee TV Episode 15. 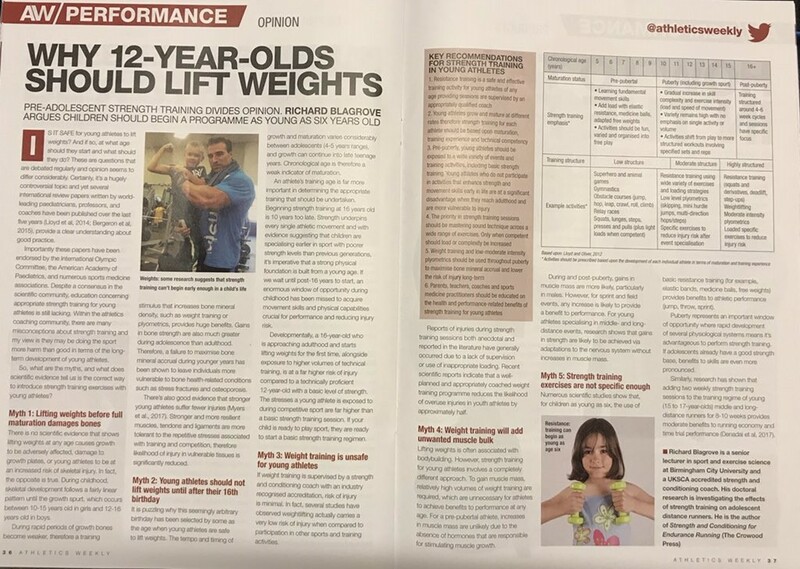 In a follow up to the Athletics Weekly article Richard Blagrove wrote a piece outlining why 12-year olds should lift weights! I guess these myths will keep on being rehashed and passed down the generations but I hope you’ll agree that the three authors above (Greg, Avery and Richard) make compelling arguments for why parents and coaches need to rethink their positions on resistance training in youths. http://athleticperformanceacademy.co.uk/wp-content/uploads/2015/06/bigstock-Prepare-To-Run-1598195.jpg 594 900 dazdrake http://athleticperformanceacademy.co.uk/wp-content/uploads/2015/05/APA-Logo1-300x156.jpg dazdrake2017-11-27 22:28:562018-05-27 20:12:19Why 12-year olds should lift weights! Thank you for a really wonderful blog. It was very helpful. I am so glad I came across this.